Brass-cased cartridges are the most popular type of ammunition on the market today due to durability, corrosion resistance and ease of reloading. Introduced in 1846 by French gunsmith Benjamin Houllier, the first brass-cased cartridge used a pinfire ignition system that was quickly improved upon. 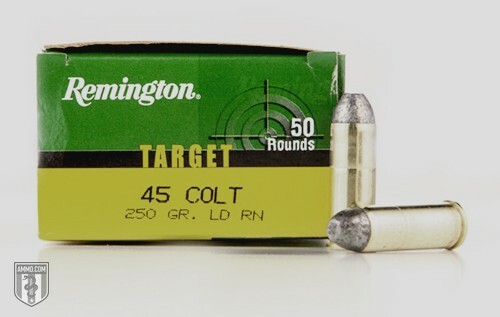 By the 1900s, brass-cased centerfire cartridges – such as the .44 Henry, .45 Colt and .45-70 – had established their place in firearms history. The ammo casing is absolutely critical in relation to the function of a weapon and how it performs ballistically in coordination with the primer, powder and bullet. Brass bullet casings offer the perfect balance of strength and flexibility, allowing it to expand under pressure in the chamber without losing its integrity. Ask any target shooter or range owner why they prefer brass, and the most common answer will be that they are reloadable. Retrieving and reloading the spent ammunition casings offsets the price of the cartridges, and there are always fellow shooters or gun shops that are more than happy to take them off your hands. With the exception of a few specialty bullets, the brass case is normally the most expensive component in the reloading process. Some reloaders claim that good quality cases – loaded with light powder charges – can be used many times over before needing to be recycled. The strong yet flexible brass is less prone to give you a stuck case when compared to steel or aluminum-cased cartridges. There are numerous tests with very detailed results on popular forums and firearm sites that prove this to be true. If you’re going to shoot thousands of rounds, brass is just more reliable. This reliability is also enhanced by the softness of the metal itself, which will show deformation when overpressured or worn out. This allows the reloader to stop shooting and take corrective action before any damage occurs. With harder cases, this deformation will not always happen – but rather the case will simply come apart, possibly damaging the firearm. The price of brass-cased cartridges are typically slightly higher than steel or aluminum-cased cartridges. If you’re only looking to plink cans in your backyard, you can save money sticking to other metals. You probably won’t notice the price difference if you’re just putting a box in your gun safe for home defense, but it will be more noticable when buying in bulk. Unfortunately, no manufacturer is perfect, and you can occasionally get a weak or misshapen brass case or cartridge. While this is pretty rare, reloaders should be sure to inspect their casings from a new supplier or unfamiliar source. Also for reloaders, brass cartridge casings can be purchased in bulk, in various forms, or simply gathered up as you spend time shooting. It’s always a good idea to shake out your cases before tumbling and polishing them – getting you to the fun part of reloading. While brass shells are a bit more expensive, the overall value (when compared to the increase in cost) makes them worth considering for your shooting needs. The reloadability, reliability, and resistance to corrosion make brass a great choice for your next ammo purchase.